Positive: Stylish design; good price; support waterproof and dust avoiding. Negative: Poor display; mediocre speakers; short battery life. Positive: Good price; elegant design; nice display; decent hardware; support NFC. Negative: Heavy; no headphone jack. Positive: Support waterproof and dust avoiding; excellent display; powerful hardware; high autonomy. Positive: Decent hardware; support waterproof IP68; nice display; good hardware; good connectivity; nice cameras. 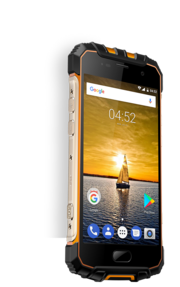 The Ulefone Armor 2 impresses with some mid-to-high level hardware and comes with a full IP68 rating that offers waterproofness up to a depth of 1.5 meters for a full 60 minutes. It is a serious outdoor smartphone and is far too heavy (270 grams) and bulky for the civilized world of offices and laptops. This phone is meant to be thrown around and submerged every day. Whether the user is a fan of the walkie-talkie smartphone or not, the Armor 2 packs some serious defenses. The top and bottom sections are made from high-density plastic that will ward off drops while absorbing impacts. Holding it together are metal side panels which are part of the extremely strong metal frame. 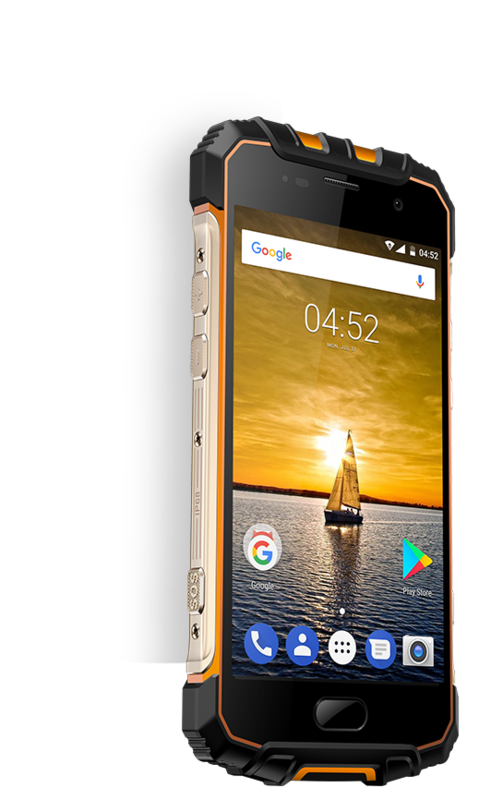 All this extra armor is what brings the rugged Ulefone Armor 2’s weight up to nearly 300 grams, and that is with only a tiny 5″ display squeezed in. The color variants offered are gold and grey. 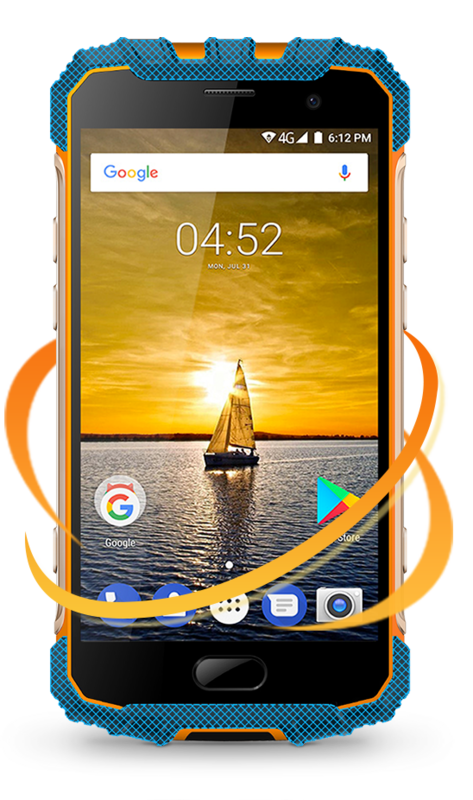 Ulefone has opted to go with a Sharp display inside the Armor 2, as it offers good viewing angles, works well in sunlight, and the 1920×1080 resolution is super crisp at 441 PPI. However, unlike the S60, which offers Gorilla Glass 5, the Armor 2 only has Gorilla Glass 3. Users also have the option to use onscreen buttons or stick with the capacitive buttons at the bottom and the fingerprint reader for the home button. 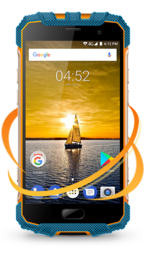 The device is no wimp in the hardware department either, as it packs 6GB of RAM, 64GB of storage and the octa-core (big.LITTLE) MediaTek Helio P25 CPU. While it is not one of the top-tier MediaTek chips, it is still a very capable chip that offers speedy performance. The Helio P25 CPU comes with 8 cores split into two groups. Group one runs at 2.6GHz and crushes any intensive tasks using its binary might. Group 2 runs at the slower speed of 1.6GHz and takes cares of all the easy day-to-day tasks. This has the benefit of offering more power savings and longer battery life. The Ulefone Armor 2 also has the ARM Mali T880 Graphics Unit on the Helio P25 chip, which performs well with the latest 3D gaming titles, making the Armor 2 a great option for gamers. Although the Ulefone Armor 2 boasts a 16MP rear-facing camera, the end results are not very impressive. Images tend to look soft and a little washed out. Getting the focus right can be difficult and colors in the final photos are not very punchy. It is not the worst Android camera, but it is nowhere near on par with others in its price range. Helio P20 MT6757: ARM based octa core SoC (8x ARM Cortex-A53) clocked at up to 2.3 GHz. The chip also includes a Cat.6 LTE modem.» Further information can be found in our Comparison of Mobile Processsors.